Earlier this year, a little-known U.S. Supreme Court decision ripped open the door to a potential multi-billion dollar market. Only, it’s not what you think. I’m not talking about legal cannabis. I’m talking about America’s other favorite vice: gambling. According to Forbes, illegal betting on NFL and college football will hit $93 billion in 2018. Global Market Advisors estimate illicit sports betting is a $150 billion industry. NBA commissioner Adam Silver has written that some even estimate it at $400 billion per year. For decades this was a massive black market. But after a landmark ruling in the nation’s highest court, the whole industry is now poised for rapid legalization. A rush for the U.S. market is kicking off. And Bragg Gaming Group (TSX.V:BRAG.V; OTC:BKDCF) is positioned to seize a chunk of the online gambling spoils. On May 14th the U.S. Supreme Court ruled in favor of New Jersey in a 6-3 decision - striking down the federal law that banned sports betting in most states. The decision - Murphy v. National Collegiate Athletic Association - grants the 50 state legislatures the power to license and regulate sports betting. Now - if California or New York or any other state want to legalize wagering on the NFL or major league baseball - they can do it without any interference from Uncle Sam. This is a potential $400 billion market, and it’s now open for business. On news of the decision, shares of several gaming companies moved higher including Caesars Entertainment, up 6 percent and Penn National Gaming, up 4 percent. And, while many investors are focusing on Blue Chip casino names - an opportunity may be in stocks like Bragg Gaming Group (TSX.V:BRAG.V; OTC:BKDCF). #1 - A veteran operating team with experience in the industry. #2 - Proven technology with a tested back office platform. #3 - Media assets that can drive massive customer growth. 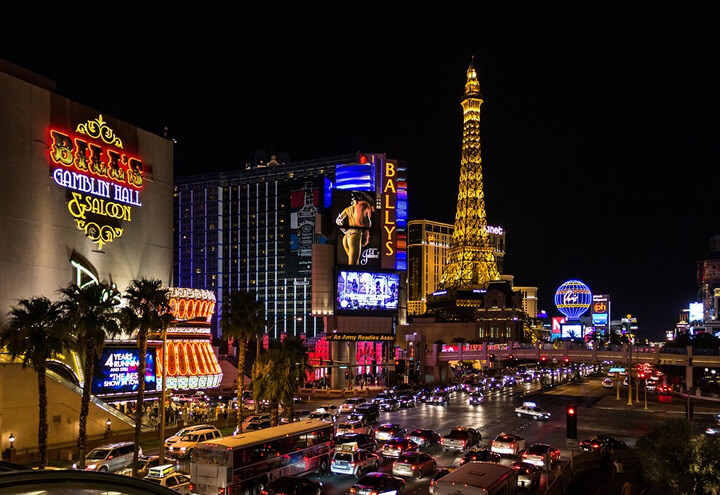 Bragg has all three - and they could soon join the likes of Las Vegas Sands (LVS), Wynn Resorts (WYNN) and Caesar’s Entertainment (CZR) in the online gaming industry. The online gambling industry is incredibly lucrative. Oristep Consulting estimates the market will reach $46.7 billion in 2018, and $89 billion by 2025. But it’s no game for amateurs. It’s highly regulated. There are major issues with cyber security. Marketing channels are often limited. Barriers to entry are high. That’s how Bragg Gaming Group (TSX.V:BRAG.V; OTC:BKDCF) sets itself apart. The company boasts a gaming industry dream team. CEO Dominic Mansour has nearly 20 years’ experience in the gaming and lottery industry. He operated Full Tilt poker - the 2nd largest poker site in the world. This was an enterprise with over $450 million in annual revenue. He was also CEO at the UK based Health Lottery, and built bingos.com from scratch, before selling it to NetPlay TV Plc. where he became CEO and a board member. CFO Akshay Kumar was previously CFO at NetPlay. Prior to this he was Financial Controller at Sporting Index, the sports spread betting specialist. Matevz Mazij is the Managing Director of Oryx - a key Bragg Gaming division. He founded the company in 2010, after spending 8 years as one of the IT minds behind multiple online and land-based gaming companies around the world. They intend to compete across the online gambling industry’s full spectrum of B2B and B2C verticals - first in Europe and ultimately in the United States. To do that they’ve acquired two foundational assets. The first pillar of the Bragg Gaming Group (TSX.V:BRAG.V; OTC:BKDCF) opportunity is Oryx Gaming - a turnkey B2B gaming solution provider they acquired in 2018. Let’s talk about what Oryx actually does. party Sportsbook, Lottery and Casino products. Oryx publishes over 5,000 game titles. They provide the technology, the gaming platform, risk management, operations and back office services. They are certified, approved and licensed in Malta, Schleswig Holstein, Spain, Romania, Colombia, Croatia, Serbia, Gibraltar, UK and Slovenia. Their clients range from JackpotJoy Plc to GVC Holdings - one of the world's largest sports betting and gaming groups at a $5.49 billion market cap. And, right now they’re very much cash flow positive. For the six months through June, 2018 - Oryx generated $9.49 million in revenue, with $1.98 in EBITDA. That represents 414% growth over the same period in 2017. This gives Bragg Gaming Group (TSX.V:BRAG.V; OTC:BKDCF) the resources and operational capability to launch their own B2C gaming brands in both Europe and the United States. That’s not all. They also have a marketing springboard. Every online business needs customers. If you’re selling cereal, or microwaves or car insurance - you have an arsenal of advertising options at your disposal. The online gambling and lottery industries mostly don’t have that luxury. Since 2003 when U.S. regulators began cracking down on gambling advertisements, most ad platforms highly restrict, or even prohibit them outright. Facebook requires written permission in advance for any real money gaming ad. This isn’t just an American regulatory issue. In 2007, the U.K. banned over 1,000 gambling sites from advertising online, in print, on the radio or on television. That’s why Bragg Gaming Group (TSX.V:BRAG.V; OTC:BKDCF) which was then known as Breaking Data, in 2017 acquired GiveMeSport - a next generation sports media asset. With 26 million followers, they are the largest sports publisher on Facebook. ESPN is in second place with just 18 million followers - or over 44% less. On the broader Internet, GiveMeSport is the #9 sports website on Earth. Right now, the only monetization plan for GMS is paid advertising. Their ad revenue growth is sitting at 83% year over year. But that’s merely the short-term plan for the site. The company plans to leverage the free traffic from GiveMeSport to grow other gaming assets, initially in the UK, and then in the United States as the market matures. The Next World Class Gaming Company? First, they intend to launch the GiveMeBet gambling platform. This new website will start with sports betting before expanding into the other areas including casino games, e-sports, poker and lottery products. Oryx will provide the technology platform and software to run the service. Bragg Gaming has an agreement with Argyll, which holds a UK betting license to operate the site. They’ll leverage the massive audience from their GiveMeSport website to drive adoption and growth. This isn’t an untried model - it’s been done before. Sky Bet was built by leveraging the Sky Sports media assets. In 2018, CVC and Sky agreed to sell Sky Betting & Gaming to The Stars Group for £3.4 billion. And, don’t forget - the GiveMeSport brand has more than double the Facebook audience of Sky Sports. The growth potential for Bragg is significant. Initially they’ll be targeting the £4.6BN U.K. sports betting market. As legalization unfolds in the United States, the company intends to grow and acquire assets across the full spectrum of gaming verticals in multiple jurisdictions. The May 14th U.S. Supreme Court decision to overturn PASPA, in favor of New Jersey, was a watershed moment for online sports gambling in the United States. Seven states — Connecticut, Delaware, Pennsylvania, Iowa, New York, Mississippi and West Virginia — have laws prepared to make sports betting legal. Thirteen other states have planned or proposed similar legislation. And, sports betting isn’t the only gaming vertical affected by this monumental decision. The New York State legislature is working on a bill to legalize online poker. California - the most populous state in the union - is also exploring poker legalization. They boast an incredibly experienced team of industry veterans. With Oryx, they have both the infrastructure and revenue to pursue an ambitious roadmap. Thanks to GiveMeSport’s over 30 million unique visitors – they have a media springboard to launch B2C platforms like GiveMeBet in Europe and the U.S. If you aren’t following Bragg Gaming Group (TSX.V:BRAG.V; OTC:BKDCF) yet - you need to start. FORWARD-LOOKING STATEMENTS. Statements in this communication which are not purely historical are forward-looking statements and include statements regarding beliefs, plans, intent, predictions or other statements of future tense. Forward looking statements in this article include that the gaming industry continues to grow; that a bigger investment opportunity than casinos may be in growth stocks like BRAGG; that GiveMeSport’s new website will start with sports betting before expanding into the other areas including casino games, e-sports, poker and lottery products; that BRAGG Systems may have a system that would be accepted by gamers; that it can leverage the Give Me Sport fan base into sports betting through BRAGG’s platform to drive adoption and growth; that BRAGG can protects its intellectual property; the size of the potential sports gaming market; that Oryx gives it the gaming platform to break into the online sports gaming and betting market: that more states in the US will legalize sports gaming; and that BRAGG’s revenues will continue to increase; and that the company intends to grow and acquire assets across the full spectrum of gaming verticals in multiple jurisdictions. Forward looking statements involve known and unknown risks and uncertainties which may not prove to be accurate. Actual results and outcomes may differ materially from what is expressed or forecasted in these forward-looking statements. Matters that may affect the outcome of these forward looking statements include that markets may not materialize as expected; gaming may not turn out to have as large a market as thought or be as lucrative as thought as a result of competition or other factors; fans who like sport may not be converted to online sports gamblers; BRAGG may not be able to offer a competitive product or scale up as thought because of potential inferior online product, lack of capital, lack of facilities, regulatory compliance requirements or lack of suitable employees or contacts; BRAGG’s intellectual property rights applications may not be granted and even if granted, may not adequately protect BRAGG’ intellectual property rights; and other risks affecting BRAGG in particular and the gaming industry generally. The forward-looking statements in this document are made as of the date hereof and the Company disclaims any intent or obligation to update such forward-looking statements except as required by applicable securities laws. Risk factors for the online sports gaming industry in general which also affect BRAGG including without limitation the following: Competitors may offer better online gaming products luring away BRAGG’s customers; Technology changes rapidly in the business and if BRAGG fails to anticipate or successfully implement new technologies or adopt new business strategies, technologies or methods, the quality, timeliness and competitiveness of its products and services may suffer; BRAGG may experience security breaches and cyber threats; regulators may impose significant hurdles to online gaming companies; BRAGG’s business could be adversely affected if consumer protection, data privacy and security practices are not adequate, or perceived as being inadequate, to prevent data breaches, or by the application of consumer protection and data privacy laws generally; The products or services BRAGG distributes through its platform may contain defects, which could adversely affect BRAGG’ reputation. This communication is for entertainment purposes only. Never invest purely based on our communication. Gains mentioned in our newsletter and on our website may be based on end-of- day or intraday data. We have been compensated by BRAGG to conduct investor awareness advertising and marketing for BRAGG. Therefore, this communication should be viewed as a commercial advertisement only. We have not investigated the background of the company. The third party, profiled company, or their affiliates may liquidate shares of the profiled company at or near the time you receive this communication, which has the potential to hurt share prices. Frequently companies profiled in our alerts experience a large increase in volume and share price during the course of investor awareness marketing, which often end as soon as the investor awareness marketing ceases. The investor awareness marketing may be as brief as one day, after which a large decrease in volume and share price is likely to occur.